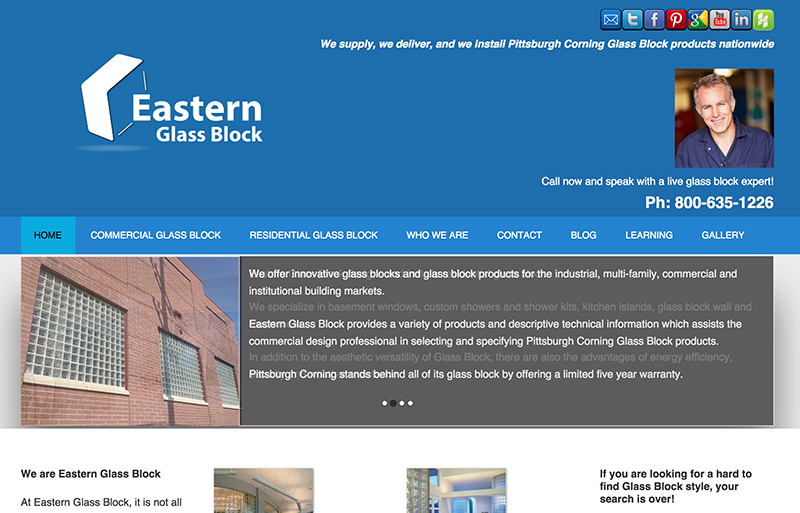 Eastern Glass Block occupies a commanding position in a niche market. As they found traditional marketing methods ineffective, they turned to us to implement and maintain and ongoing social media marketing effort. Since then, they have experienced a steady growth in market presence and traffic to the website we developed earlier, driven by a blog, Facebook, LinkedIn, Twitter and Youtube. We recently redesigned and modernized their website using a responsive design. Visit Web Site. Copyright 2019 eBusiness Technology, LLC. All rights reserved.